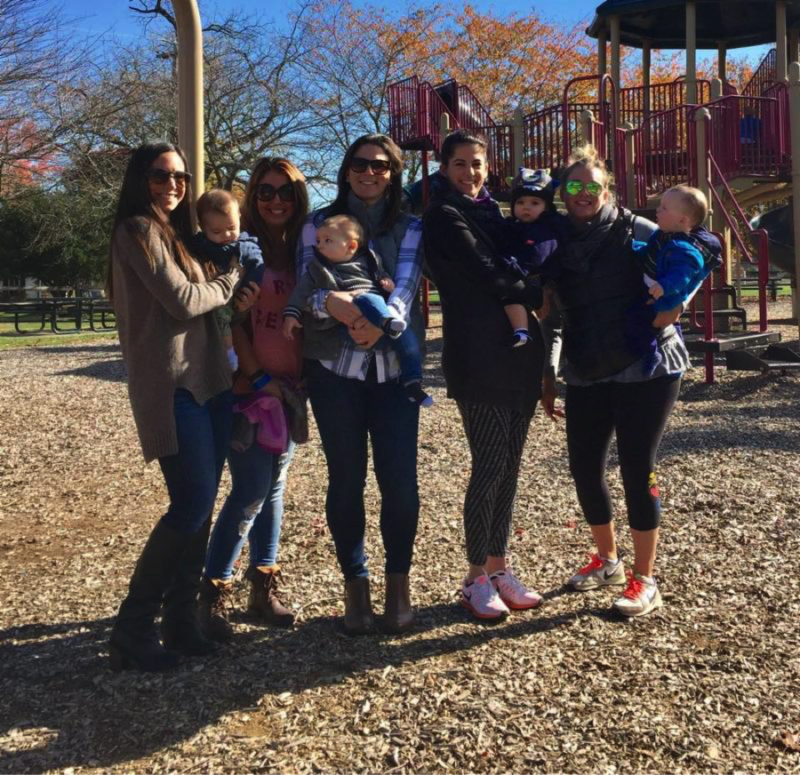 PlayGroups organizes monthly playgroups for children of members in the towns of Rumson, Fair Haven, Little Silver and Shrewsbury. This popular Club offering is a great way for moms and their children to meet other moms and similarly aged children in the area. To join a Playgroup, please email njnewcomers@gmail.com. Coffee Connection is a monthly member catch up over coffee at different area coffee shops or a member’s home. 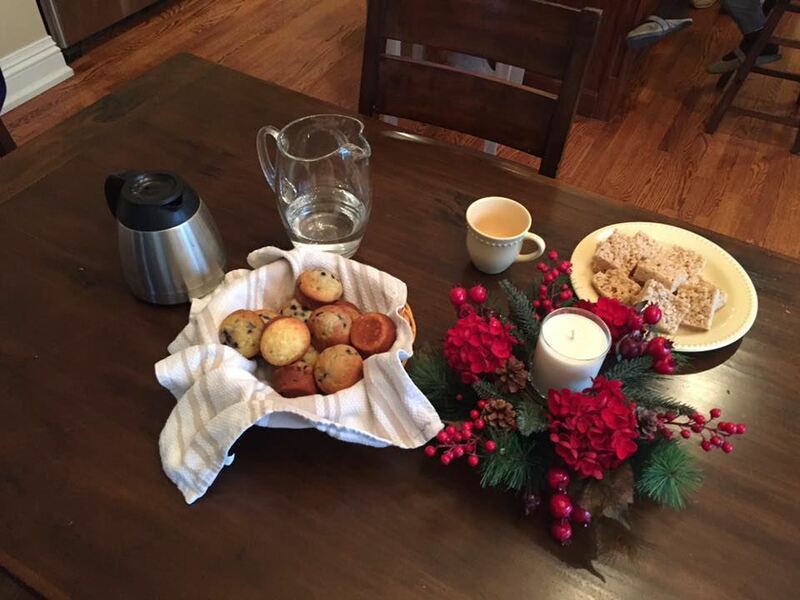 Enjoy a quick morning get together while the kids are in school or bring your little one if they are home. Family Activities and Playgroups : a wonderful way for your children to meet other children who are new to the area. We organize several outings for pre-school aged children and their parents that include playdates in the park and our popular Breakfast with Santa. Ladies Activities are fun and casual monthly activities such as a painting night, going out to a movie, or just getting out with friends. 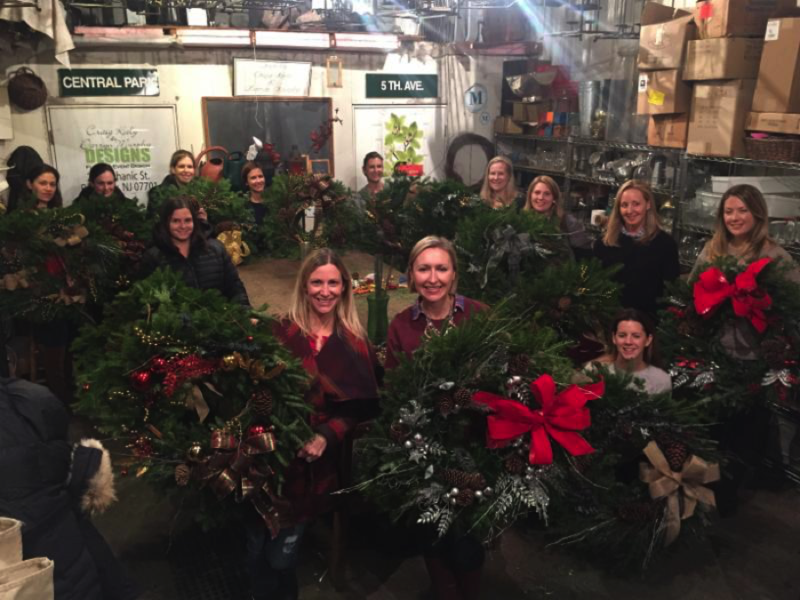 Some of the highlights for this year was a cheese tasting and a floral arranging event. Men's Activities plans fun activities and outings for the male members of our Club. These events vary from poker games to watching a great football game. This is a great way for the men in the Club to meet new people in a fun, casual and relaxing atmosphere. Nights Out. Join us for HAPPY HOUR! Sometimes you just need to grab a drink. Sometimes you wish you could walk into any bar and know someone. Why risk it? 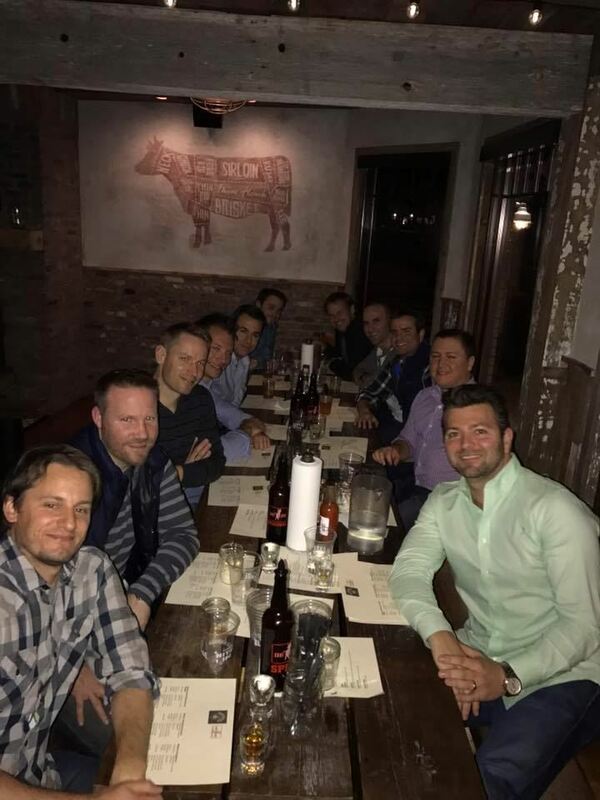 Join others from the Newcomers Club – nothing fancy, nothing crazy, just a fun night out to see some (somewhat) familiar faces. We will have some drink and food specials too. Above: Party Bus to Asbury Park restaurants and bas. WineTasters enjoy eating good food and trying out new recipes? Love wine? If socializing as a couple sounds like fun, then join Wine Tasters. Professional Women's Group (PWG) offers opportunities for socialization, networking, support and friendship for working women as they transition their new home. We are here for you while you tackle the issues that arise with a move to a new area. We also aim to provide opportunities to explore and discuss issues and topics that are of value to the group in a social setting.